A New Edge on Tooling! There are six main steps that need to be taken when cleaning a lathe. The first step is to unplug the power supply and make sure that the metal is unhooked from the tail shock and the spindle. There is a brush that can sweep off any of the chippings on the machine. The second step is to push the chipping out. Most of the time, they are going to be lodged into the machine so you will need to get the air pump and blow the lathe. Repeat this action until you know that all of the parts are clean. The third step is to dip a cloth into kerosene and wash off the clippings. Rub it very often and change the rag if it looks like it is going to smudge. The fourth step is to lubricate all of the parts of the machine with oil. Take a rag and run it over the screws that below the tail along with all of the parts of the locking system. This will help with problems that the machine might be having due to friction. The fifth step is to add a protective layer. This will allow the clippings to stick to the surface so that they can be wiped off on a regular basis. Then it can be polished with a dry cloth. When there is grease on the machine, it could cause problems with its efficiency so it is very important for it to be cleaned on a regular basis. The last step is to put the machine back together once it has been thoroughly cleaned. There are only two main steps that a person will have to do when they are trying to clean the milling machine. 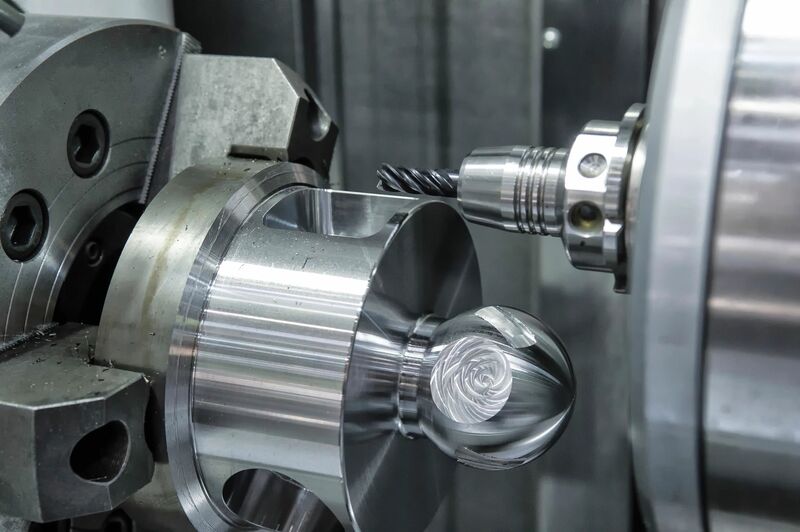 The first step is to make sure to clean the ball screw, linear milling rails, the machine, spindle taper, and the feed screw nut. Then you will need to make sure the swarf and turnings are cleaned. The second step is to use WD40 to lightly oil the milling rails and the air filter for blockages. ← A Look at Our New Facility!!! We work on any tools from anybody, anywhere. And for customers within our courier range, we pick up and deliver. 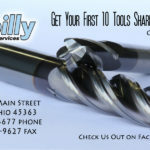 Get Your First 10 Tools Sharpened for Free – Ask Us How!!! 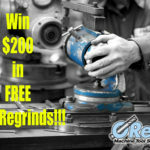 Win $200 in FREE TOOL REGRINDS from O’Reilly MTS!!! Copyright © 2015 O'reilly Machine Tool Services. Designed by Michael Web Solutions.